It’s Wedding Wednesday today, so I thought I’d share some images of another florist’s stand from the National Wedding Show, which took place last month. 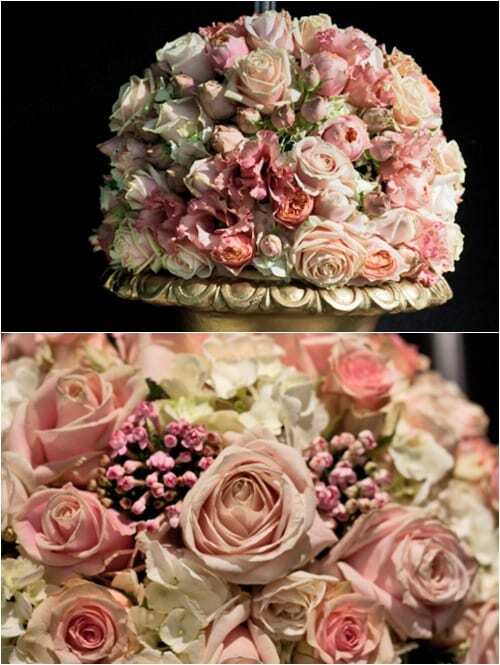 This week, I’m featuring beautiful wedding flower designs from London-based WildAbout. 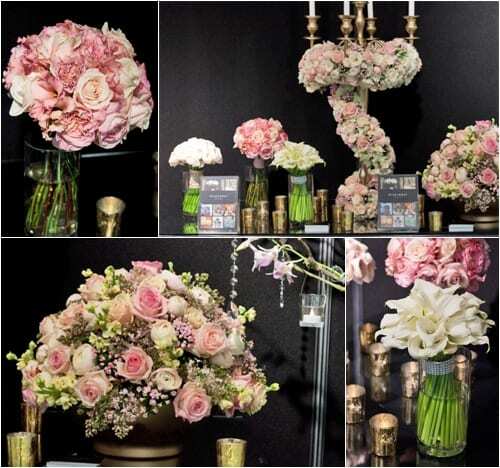 Pink and blush blooms in different shades and textures combined with white and cream flowers was the colour palette for their stand. 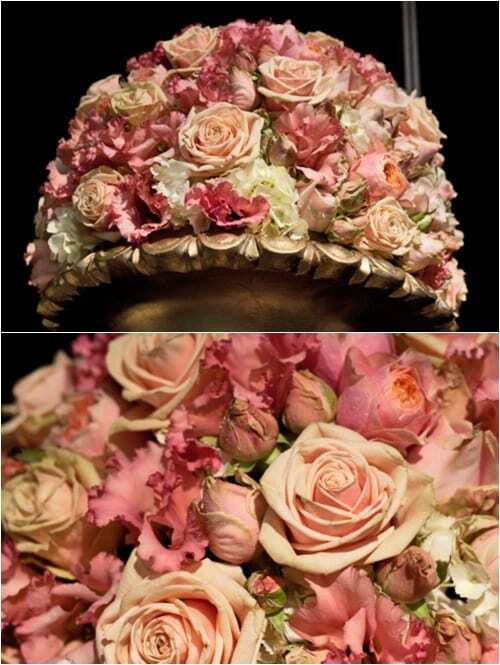 The rose domes which Leanne and her team had created were absolutely stunning! 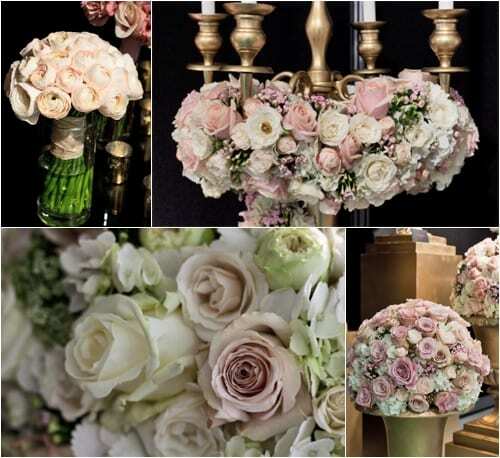 And I loved the very pale pink ranunculus in the bridal bouquet in the top left above. 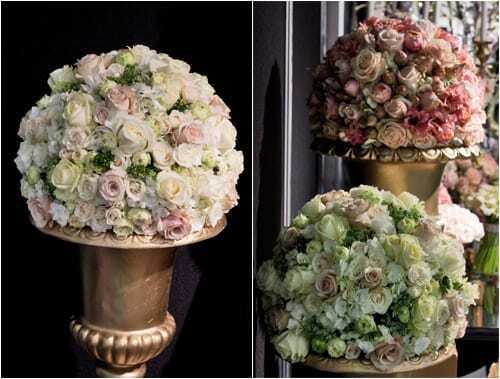 They’re called Ranunculus Clooney Hanoi and I featured them in this month’s Flower Market Report, which I write for New Covent Garden Flower Market. So if you’re planning your wedding, I hope today’s blog post has inspired you with ideas for your big day blooms. Or if you have a friend or relative who’s engaged, you may like to point them to Flowerona to help them choose their wedding flowers. In the meantime, to keep up-to-date with WildAbout’s news, they’re on Twitter and Facebook, plus have a blog. P.S. If you missed my other blog posts featuring florists from the National Wedding Show, here are the links : Jayne Copperwaite & InDeco.